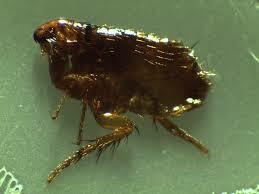 Fleas are dark, tiny pests that jump from one place to another and feast on the blood of cats, dogs, and even humans. Though they are capable of spreading the Bubonic Plague, the most common effect of fleas is allergic reactions in pets and humans. Since flea saliva is an allergen, fleas cause painful, itchy red bumps. Unfortunately, fleas are difficult to eliminate once they have infiltrated their home. These tips will help you keep fleas out of your home as much as possible. Since fleas love to make themselves at home on the skin of your cat or dog, using a topical or oral flea treatment is one of your first lines of defense against fleas. Be sure to choose a medication with two active ingredients. This ensures that your pet is protected by a growth regulator that serves to break the fleas’ reproductive cycle. It also helps to rotate your flea treatments with different products, since fleas can build up a tolerance in as little as nine months. If these medications keep fleas far away from your pet, then you have a much higher chance of keeping your home flea-free. It’s important to pay attention to the outside of your home as well. Getting rid of leaf piles and keeping your grass thick will reduce potential flea infestation sites. It’s also important to keep your yard clean of pet droppings, since fleas are immediately attracted to pet waste. Keeping the exterior of your home free from fleas will also protect the inside of your home. If you do discover a flea infestation in your home, immediately vacuum all surfaces and empty the canister outside. Complete this 3 times a day to remove eggs and reduce the overall flea population. Throw all linens into the dryer on the hottest cycle possible in order to kill any fleas lurking in your blankets and towels. Check your pet for fleas multiple times a day, and give him a bath to kill off stubborn fleas. All of these measures should help your home remain safe from fleas, but if they aren’t enough, professional help might be necessary. The sooner you call Green Solutions Lawn Care and Pest Control in Tampa, Florida, the sooner that pest experts can help you eliminate fleas once and for all. Call (813) 684-7336 to learn more. Share the post "How to Stop Fleas from Infesting Your Home"